Photos from the Beacon Hill Blog photo pool on Flickr. Thanks to all who contributed this month! 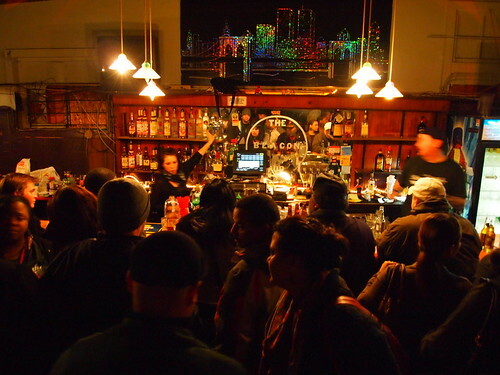 Last call forever December 22 at the Beacon Pub on Beacon Avenue South. Photo by Joel Lee. 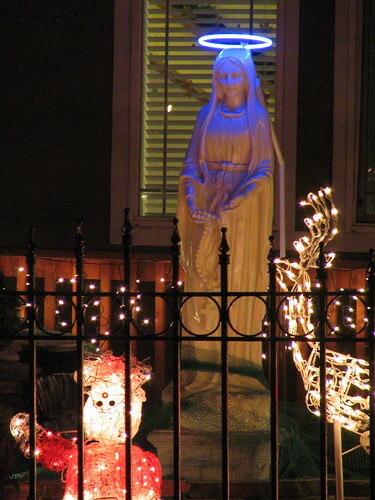 Holiday lights on a Beacon Hill fence. Photo by RS_Photographs. 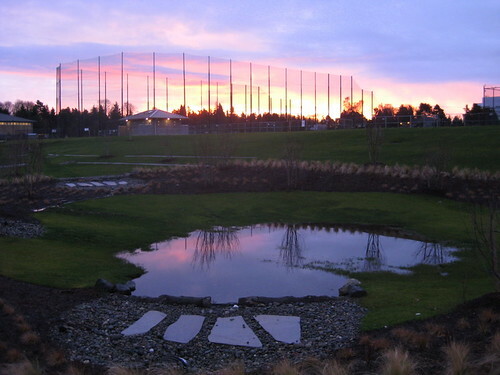 Jefferson Park pond at sunrise. Photo by Joel Lee. Somewhere on Beacon Hill. Photo by dotism. 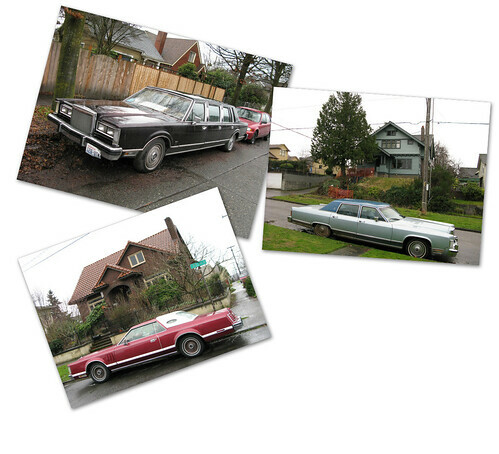 Beacon Hill Lincolns. Photo by Rob Ketcherside. Here are some of the photos added to the Beacon Hill Blog photo pool on Flickr recently. Taken any interesting photos? You are invited to contribute them to the pool. Aged red door on Beacon Hill. Photo by Moxie Sinclair. 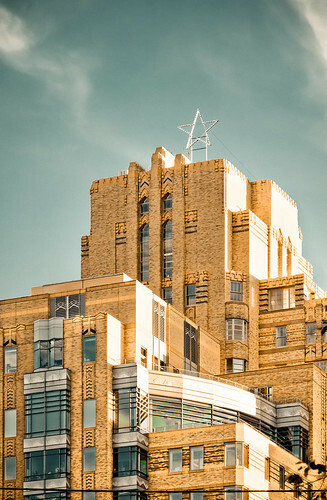 Photo of the Pac Med building by Erick Mota. 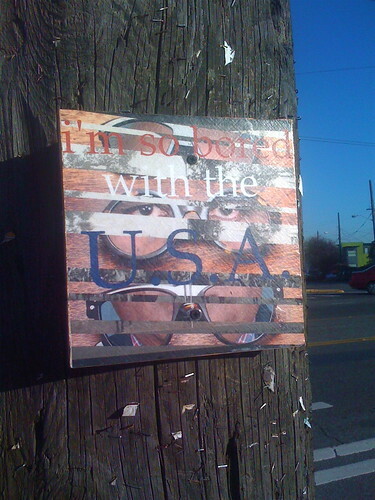 Street art posted outside the library on Beacon Avenue South. Photo by Wendi. 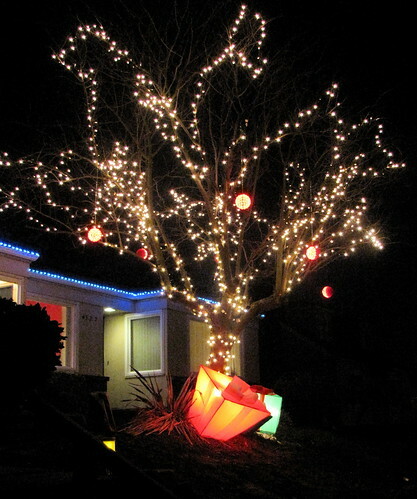 Photo of Christmas lights on 13th Avenue South by Jason. 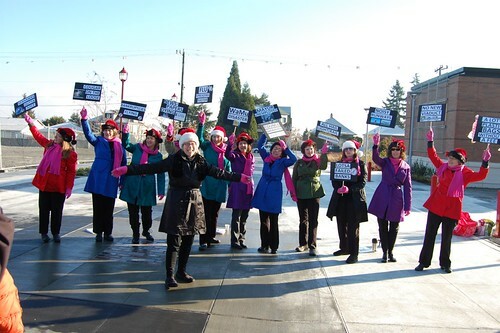 The Beaconettes wished us all happy holidays. Photo by go-team. 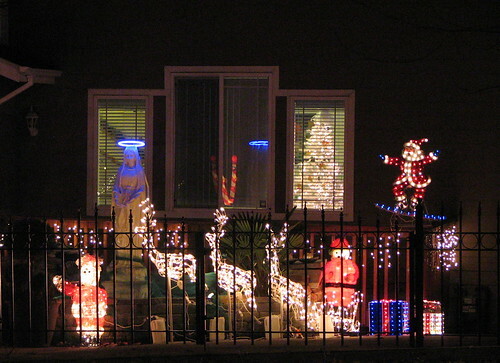 Festively-lit house on 13th Avenue South. Photo by Jason. As recommended earlier by a commenter named Steve, we visited the 4500 block of 11th Avenue South and found this cheerful house with a rotating Christmas tree! It’s hard to get a good picture because there are trees in front of the house, but we did our best. Know of other houses for us to look at? Email us or post in the comments here. I love that you can see their Christmas tree, too. 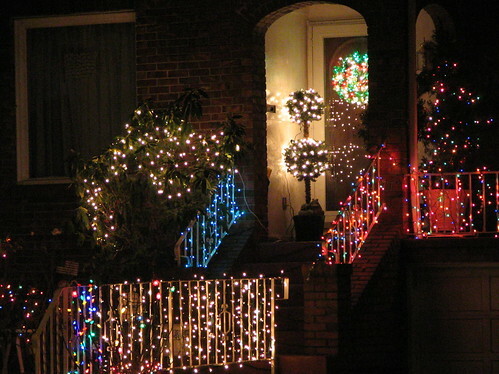 So many of the houses I looked at had the blinds resolutely closed despite the cheerful Christmas lights outside. 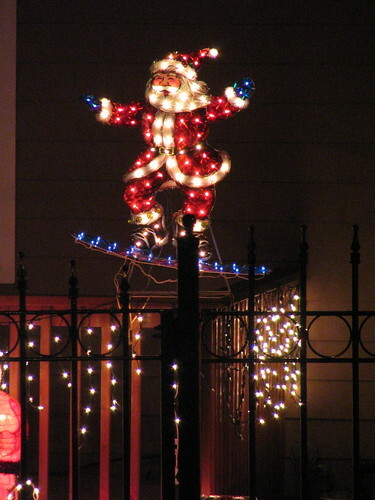 Santa surfing the south slope of Beacon Hill. 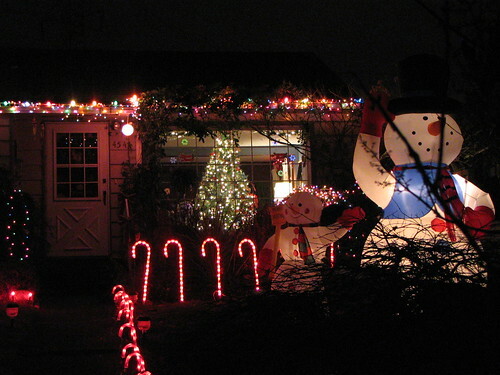 Here’s another house with some holiday lights, in the 5400 block of Beacon Avenue South. 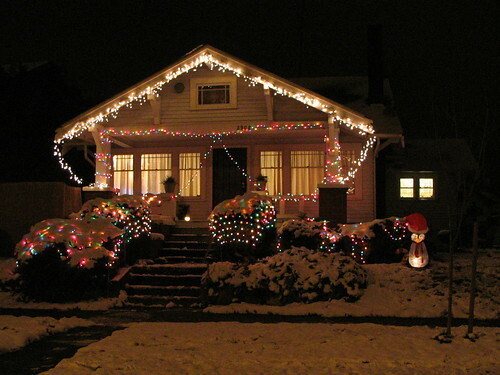 Know of any decorated houses? Email us so we can feature them here! 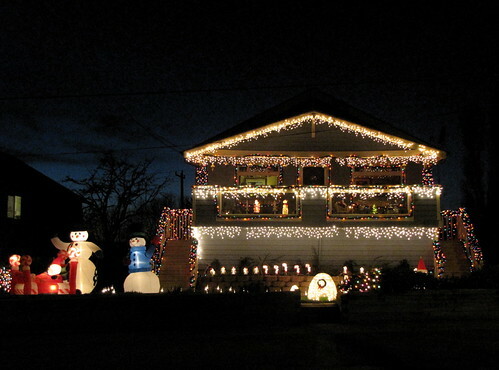 I think they need more lights on the upper part of the house. Imagine this house with lights around the roofline. 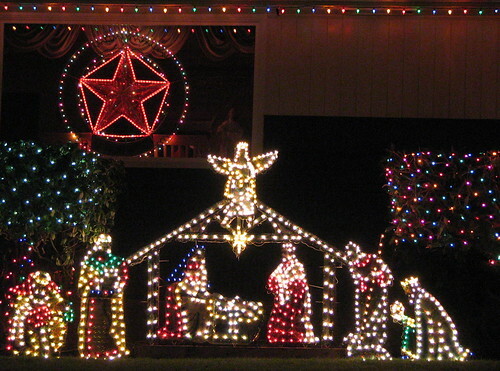 When I was very young, the local newspapers used to host a Christmas light contest each year. 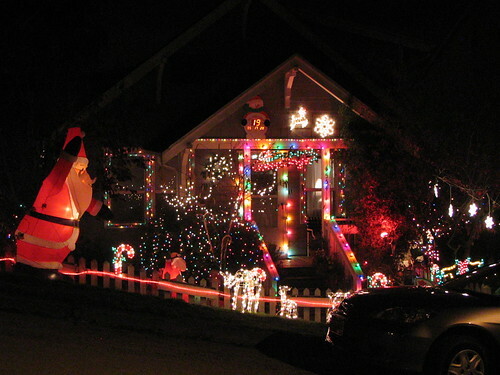 People would decorate their houses in amazing ways, and the newspapers would publish the list of competitors. 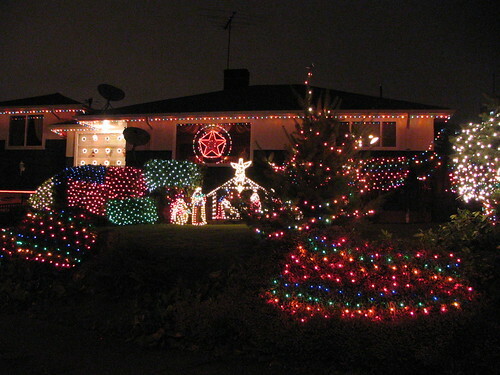 My parents would then drive us around to see the decorated houses. Then came 1973, and the oil shortages. 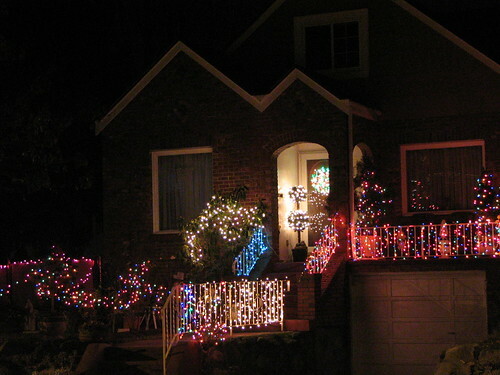 Suddenly it was irresponsible to have holiday lights. The contests went away, and the city because a lot less festive. 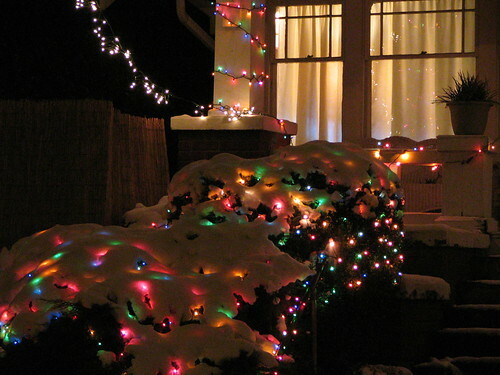 It was years before we started seeing a ton of lights again. And I missed the light shows of my early childhood. Now, we’re back to the 1973 state of things in many ways. It’s not “green” to waste that much energy. 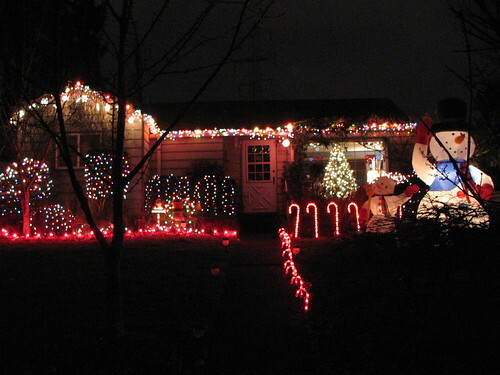 But I still enjoy the lights anyway, at least for a few weeks each year in Seattle’s terribly dark winters. They brighten up our evenings and make the darkness easier to bear. 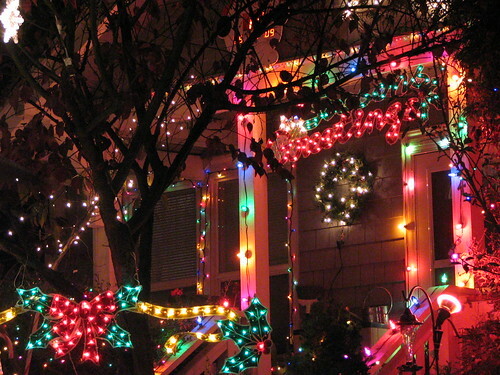 We’ll be featuring Beacon Hill homes with lights and decoration periodically until Christmas. Do you have some cool decorations? How about your neighbors? Please write and tell us, so we can post a picture. Our first featured home is on the 1500 block of South Atlantic Street. (See the map at the bottom of this post.) 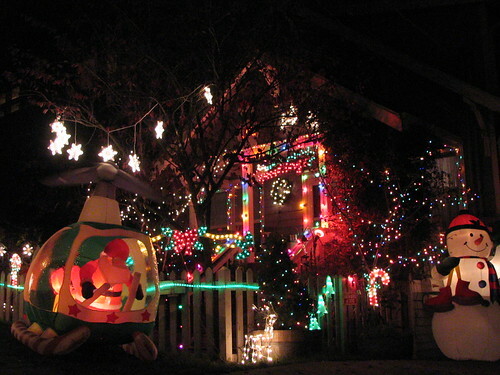 Tons of lights, a countdown clock to Christmas, and Santa in a helicopter! Notice the countdown clock above the door. I love how colorful this one is. A very cheery house and front yard. Here’s a map to help you find the house. We’ll add other holiday houses to the map over the next few weeks.